WINTWAI! – Where IN The World Am I? 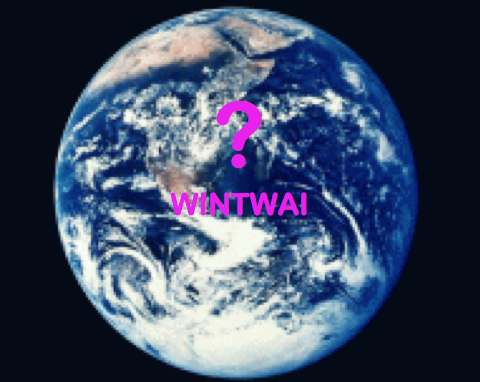 Welcome to WINTWAI, and I bet you’re all wondering what exactly is WINTWAI? Well it is a social networking game that uses Twitter to not only expand your knowledge about locations in the world, but also to give mind of your inspiration you are so desperately searching for. Good question, every few hours WINTWAI will upload a photo of a location on Twitter. This could be from a world landmark or even the current location that the host is in. If you tweet the correct answer for the location, then you will receive a special QR tag, which will unlock secret holiday destinations, amazing tips on how to achieve a peaceful holiday, voucher opportunities and a lot of free goodies! We have teamed up with various travel agents and experts to bring all you Wintainers the best possible experience. WINTWAI-P is simply the points you will earn for each photo that you guess the correct location. The host records this point system and there are extra bonuses for people who reach certain levels. There are three different levels, and depending on your dedication and knowledge you can keep advancing through the game. When you advance to the next level, the host will send you a QR tag which will link you to a digital postcard, and you go into the draw to win the weekly prize! On Fridays the WINTWAI host will upload a photo at exactly 1:00pm, this photo will be extremely hard to locate. If you are the first person to tweet the correct location of the photo, then you will win one hundred points. This game is fun, knowledgeable and inspiring. The best thing to get your mind away from your desk and into holiday mode!